My goal is to buy shares of companies that I love, reinvest the dividends, and in a few decades, retire without having to sell a share of stock because my dividend income is reasonable enough to support me and my family. Sound crazy? It's not. Dividend growth is a key value creation tool that works well for investors who don't want a high return on investment but a solid. You don't have to fear great recessions because of the deep economic integration. Buy and hold forever is easy to say but hard to implement because of the human psychology. Investors loose trust over time when the company don't grow or disappoints on the earnings in the mid-term. Let me tell you one thing: Only over a long time, the company has a high probability to create and unlock its potential value. Each good wine need time to develop and dividend growth stocks also need time. That's why I believe that high-quality dividend growth stocks are essential for wealth building. The 10 stocks listed below are a portion of my "forever" portfolio. I'm not recommending them to you. I paid much less for these stocks than what they sell for now and what you pay for a stock is the ultimate predictor of your investment returns. Still, you may find something of interest here, especially if you build your own portfolio of dividend stocks to hold forever. To that end, I've calculated the dividend growth rates for each of these stocks, as well as a fair value estimate. Hasbro (NASDAQ:HAS) employs 5,000 people, generates revenue of $4,447.51 million and has a net income of $446.87 million. The current market capitalization stands at $10.52 billion. Hasbro’s earnings before interest, taxes, depreciation and amortization (EBITDA) amounts to $847.26 million. The EBITDA margin is 19.05% (the operating margin is 15.56% and the net profit margin 10.05%). Financials: The total debt represents 36.26% of Hasbro assets and the total debt in relation to the equity amounts to 102.87%. 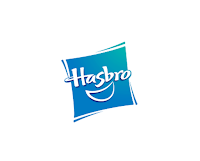 Due to the financial situation, a return on equity of 28.88% was realized by Hasbro. Twelve trailing months earnings per share reached a value of $4.21. 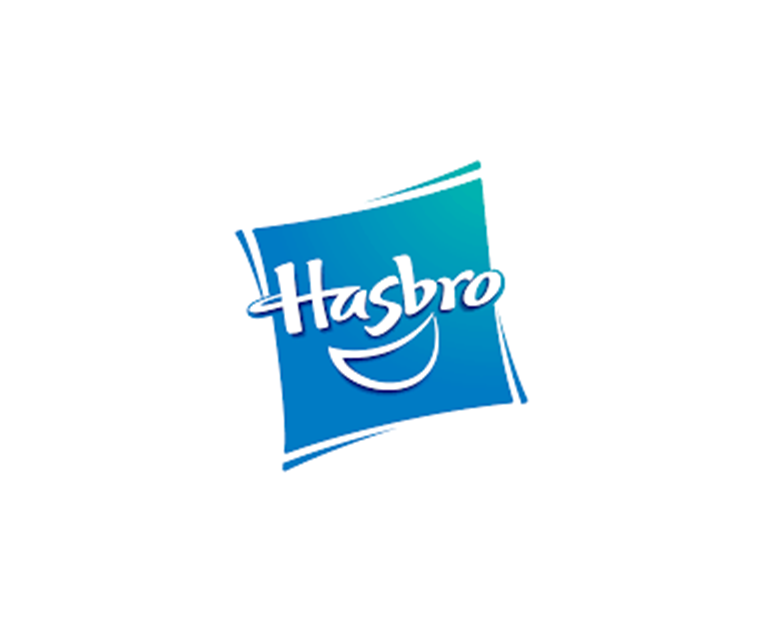 Last fiscal year, Hasbro paid $1.84 in the form of dividends to shareholders. Market Valuation: Here are the price ratios of the company: The P/E ratio is 19.82, the P/S ratio is 2.30 and the P/B ratio is finally 6.11. The dividend yield amounts to 2.50%. Illinois Tool Works (NYSE:ITW) employs 48,000 people, generates revenue of $13,405.00 million and has a net income of $1,899.00 million. The current market capitalization stands at $40.50 billion. Illinois Tool Works’s earnings before interest, taxes, depreciation and amortization (EBITDA) amounts to $3,346.00 million. The EBITDA margin is 24.96% (the operating margin is 21.39% and the net profit margin 14.17%). Financials: The total debt represents 47.19% of Illinois Tool Works assets and the total debt in relation to the equity amounts to 142.08%. Due to the financial situation, a return on equity of 31.54% was realized by Illinois Tool Works. Twelve trailing months earnings per share reached a value of $5.49. Last fiscal year, Illinois Tool Works paid $2.07 in the form of dividends to shareholders. Market Valuation: Here are the price ratios of the company: The P/E ratio is 20.70, the P/S ratio is 3.05 and the P/B ratio is finally 8.01. The dividend yield amounts to 2.26%. Energizer Holding (NYSE:ENR) employs 5,100 people, generates revenue of $1,631.60 million and has a net income of $-4.00 million. The current market capitalization stands at $2.85 billion. Energizer Holding’s earnings before interest, taxes, depreciation and amortization (EBITDA) amounts to $204.60 million. The EBITDA margin is 12.54% (the operating margin is -0.04% and the net profit margin -0.25%). Financials: The total debt represents 61.32% of Energizer Holding assets and the total debt in relation to the equity amounts to not calculable%. Due to the financial situation, a return on equity of -1.20% was realized by Energizer Holding. Twelve trailing months earnings per share reached a value of $2.07. Last fiscal year, Energizer Holding paid $0.25 in the form of dividends to shareholders. Market Valuation: Here are the price ratios of the company: The P/E ratio is 22.45, the P/S ratio is 1.85 and the P/B ratio is finally not calculable. The dividend yield amounts to 2.05%. WD-40 Company (NASDAQ:WDFC) employs 433 people, generates revenue of $378.15 million and has a net income of $44.81 million. The current market capitalization stands at $1.52 billion. WD-40 Company’s earnings before interest, taxes, depreciation and amortization (EBITDA) amounts to $71.85 million. The EBITDA margin is 19.00% (the operating margin is 17.29% and the net profit margin 11.85%). Financials: The total debt represents 31.83% of WD-40 Company assets and the total debt in relation to the equity amounts to 68.42%. Due to the financial situation, a return on equity of 27.22% was realized by WD-40 Company. Twelve trailing months earnings per share reached a value of $3.64. Last fiscal year, WD-40 Company paid $1.48 in the form of dividends to shareholders. Market Valuation: Here are the price ratios of the company: The P/E ratio is 29.31, the P/S ratio is 4.11 and the P/B ratio is finally 9.99. The dividend yield amounts to 1.54%. Becton Dickinson (NYSE:BDX) employs 49,517 people, generates revenue of $10,282.00 million and has a net income of $695.00 million. The current market capitalization stands at $35.87 billion. Becton Dickinson’s earnings before interest, taxes, depreciation and amortization (EBITDA) amounts to $2,391.00 million. The EBITDA margin is 23.25% (the operating margin is 10.45% and the net profit margin 6.76%). Financials: The total debt represents 48.43% of Becton Dickinson assets and the total debt in relation to the equity amounts to 178.98%. Due to the financial situation, a return on equity of 11.38% was realized by Becton Dickinson. Twelve trailing months earnings per share reached a value of $5.25. Last fiscal year, Becton Dickinson paid $2.40 in the form of dividends to shareholders. Market Valuation: Here are the price ratios of the company: The P/E ratio is 32.00, the P/S ratio is 3.58 and the P/B ratio is finally 5.08. The dividend yield amounts to 1.53%. Lancaster Colony (NASDAQ:LANC) employs 2,700 people, generates revenue of $1,191.11 million and has a net income of $121.76 million. The current market capitalization stands at $3.57 billion. Lancaster Colony’s earnings before interest, taxes, depreciation and amortization (EBITDA) amounts to $208.72 million. The EBITDA margin is 17.52% (the operating margin is 15.50% and the net profit margin 10.22%). Financials: The total debt represents 0.00% of Lancaster Colony assets and the total debt in relation to the equity amounts to 0.00%. Due to the financial situation, a return on equity of 22.21% was realized by Lancaster Colony. Twelve trailing months earnings per share reached a value of $4.66. Last fiscal year, Lancaster Colony paid $1.96 in the form of dividends to shareholders. Market Valuation: Here are the price ratios of the company: The P/E ratio is 28.04, the P/S ratio is 3.10 and the P/B ratio is finally 7.20. The dividend yield amounts to 1.48%. Church & Dwight (NYSE:CHD) employs 4,400 people, generates revenue of $3,394.80 million and has a net income of $410.40 million. The current market capitalization stands at $12.56 billion. Church & Dwight’s earnings before interest, taxes, depreciation and amortization (EBITDA) amounts to $777.30 million. The EBITDA margin is 22.90% (the operating margin is 19.86% and the net profit margin 12.09%). Financials: The total debt represents 24.67% of Church & Dwight assets and the total debt in relation to the equity amounts to 51.90%. Due to the financial situation, a return on equity of 19.90% was realized by Church & Dwight. Twelve trailing months earnings per share reached a value of $1.72. Last fiscal year, Church & Dwight paid $0.67 in the form of dividends to shareholders. Market Valuation: Here are the price ratios of the company: The P/E ratio is 28.13, the P/S ratio is 3.66 and the P/B ratio is finally 6.19. The dividend yield amounts to 1.47%. J & J Snack Foods (NASDAQ:JJSF) employs 3,400 people, generates revenue of $976.26 million and has a net income of $70.18 million. The current market capitalization stands at $2.31 billion. J & J Snack Foods’s earnings before interest, taxes, depreciation and amortization (EBITDA) amounts to $149.16 million. The EBITDA margin is 15.28% (the operating margin is 11.36% and the net profit margin 7.19%). Financials: The total debt represents 0.20% of J & J Snack Foods assets and the total debt in relation to the equity amounts to 0.24%. Due to the financial situation, a return on equity of 12.08% was realized by J & J Snack Foods. Twelve trailing months earnings per share reached a value of $4.01. Last fiscal year, J & J Snack Foods paid $1.44 in the form of dividends to shareholders. Market Valuation: Here are the price ratios of the company: The P/E ratio is 30.48, the P/S ratio is 2.29 and the P/B ratio is finally 3.72. The dividend yield amounts to 1.30%. Matthews Intl. Corp (NASDAQ:MATW) employs 10,300 people, generates revenue of $1,426.07 million and has a net income of $63.29 million. The current market capitalization stands at $1.93 billion. Matthews Intl. Corp’s earnings before interest, taxes, depreciation and amortization (EBITDA) amounts to $167.64 million. The EBITDA margin is 11.76% (the operating margin is 7.36% and the net profit margin 4.44%). Financials: The total debt represents 42.12% of Matthews Intl. Corp assets and the total debt in relation to the equity amounts to 123.55%. Due to the financial situation, a return on equity of 8.45% was realized by Matthews Intl. Corp.
Twelve trailing months earnings per share reached a value of $1.81. Last fiscal year, Matthews Intl. Corp paid $0.54 in the form of dividends to shareholders. Market Valuation: Here are the price ratios of the company: The P/E ratio is 33.03, the P/S ratio is 1.34 and the P/B ratio is finally 2.68. The dividend yield amounts to 1.01%. C R Bard (NYSE:BCR) employs 14,900 people, generates revenue of $3,416.00 million and has a net income of $135.40 million. The current market capitalization stands at $16.27 billion. C R Bard’s earnings before interest, taxes, depreciation and amortization (EBITDA) amounts to $1,041.10 million. The EBITDA margin is 30.48% (the operating margin is 11.63% and the net profit margin 3.96%). Financials: The total debt represents 28.23% of C R Bard assets and the total debt in relation to the equity amounts to 95.81%. Due to the financial situation, a return on equity of 8.19% was realized by C R Bard. Twelve trailing months earnings per share reached a value of $7.50. Last fiscal year, C R Bard paid $0.92 in the form of dividends to shareholders. Market Valuation: Here are the price ratios of the company: The P/E ratio is 28.90, the P/S ratio is 4.80 and the P/B ratio is finally 11.31. The dividend yield amounts to 0.47%.